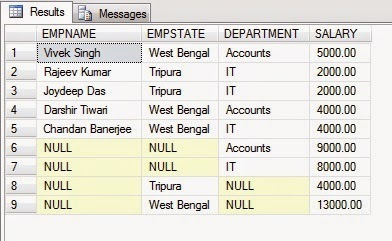 Group By Grouping Sets is a special feature of T-SQL and is used to specify multiple Groupings within a single Query. To understand it let's take an example. In this article we are trying to discuss a special feature of T-SQL called Group By Grouping Sets which is introduced in Microsoft SQL Server 2008. It is used to specify multiple Groupings within a single Query. To understand it let's take an example. Hope you understand the scenario.